If you want to get your Samsung Galaxy S4 Mini to the next level? Perform system backups, install custom roms, and get rid of pre-installed Samsung applications? Root it! Here is my tutorial/guide on rooting S4 Mini with PC/computer. How to root the little brother of the Galaxy S4. A Samsung Galaxy S4 Mini GT-I9190 or GT-9195 (4G) charged at 70%. S4 Mini drivers are properly installed. Determine if your Galaxy S4 Mini is 3G version (GT-i9190) or in Version 4G (GT-i9195). This is very important, do not mix files. Download Odin 3.09as well as the Recovery file unzip the archives on your computer. 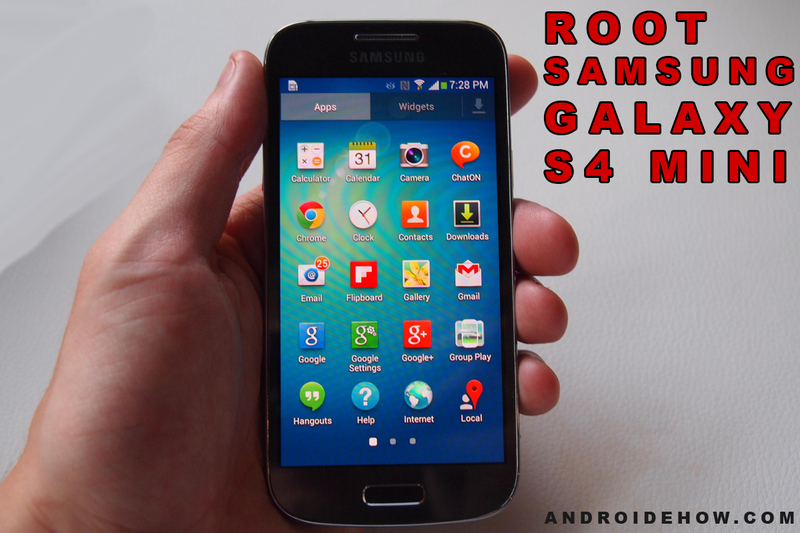 Download the Rootkit file on your Galaxy S4 Mini, at the root (in no folder). Do not decompress it. Turn off your smartphone and restart it in download mode (low volume + power button + home button). Connect your smartphone to your computer via USB, and press volume up to confirm the entry in download mode. Start Odin and uncheck F. Reset Time and Auto Reboot. Go to the downloaded recovery file earlier, and click Start. The operation takes only a few seconds, it is finished when Odin displays PASS!. If your Galaxy S4 Mini reboot, immediately press the volume up, home and power buttons to restart in recovery mode. Once in recovery mode, click install zip from sdcard> choose zip from sdcard and go to the downloaded Rootkit file earlier. Once the file is flashed, restart your smartphone: congratulations! Your Galaxy S4 Mini is rooted! Note: If you get error messages warning you about the actions of certain applications, use a file explorer with root privileges and delete the KnoXAgent.apk , KNOXStore.apk, and ContainerAgent.apk files, all of which are the / System / app of your S4 Mini. The operation works for you? What is the first thing you will do once your S4 Mini root?